Today I came across a statistic that for this day and age seems nothing short of incredible. 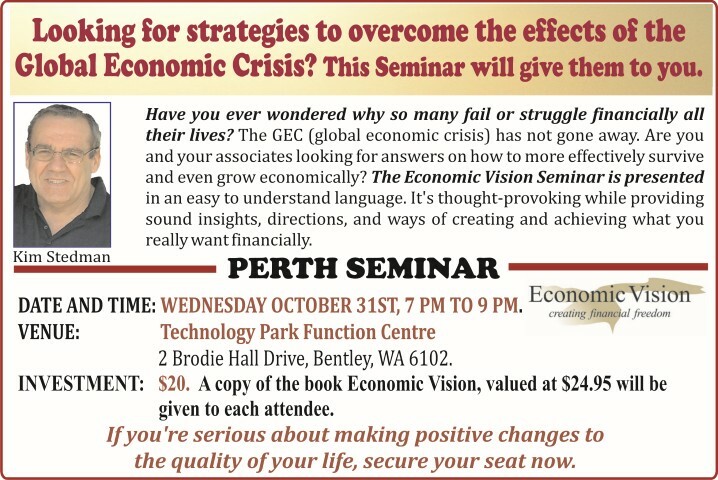 This applies only to Western Australia, a region of the world enjoying a mining boom and yet so many are struggling financially. So much so that thirty percent of people in prison are there on debt related charges. In many cases their only crime was being unable to service their debts. Worse than those who are in prison are the families on the outside who are probably suffering even greater economic stress as a result. One has to wonder how in the twenty first century with all that is available to us in the way of technology for travel, communication, entertainment and commerce how these people wound up in the situation in the first place. As has been said quite often is some circles, "it's a jungle out there." In fact it's probably safer on the African Savannah than living in western society. A big part of the problem is the lack of fiscal education and those who are trying to plug the leaks and help those in need are working with less and less resources. 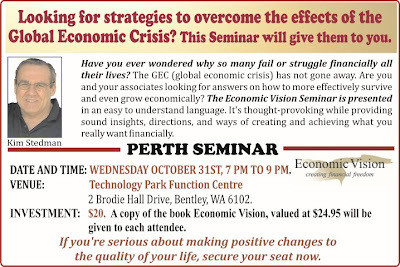 This is why Economic Vision has teamed up with Morris Publishing Australia with an affordable presentation designed to make lasting changes to families and communities.